As most of you know, I have chosen a baseball theme with a slogan of "Batting 1000 for the Children." We have a big game in front of us, but I truly believe we have the best team available to win and accomplish the goals of Optimist International and our new President Rebecca Butler Mona. I hope to make this a fun and exciting year as we grow into a World Series worthy team. 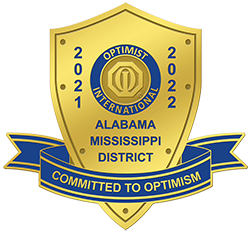 I truly believe this is our time to shine, but we must take our game to the next level in order to make our District stand out as the best in Optimist International. If there is anything you need, or if you have any questions, comments, suggestions, please do not hesitate to contact me. I will do whatever I can to assist you. Together I know our District can accomplish amazing things.